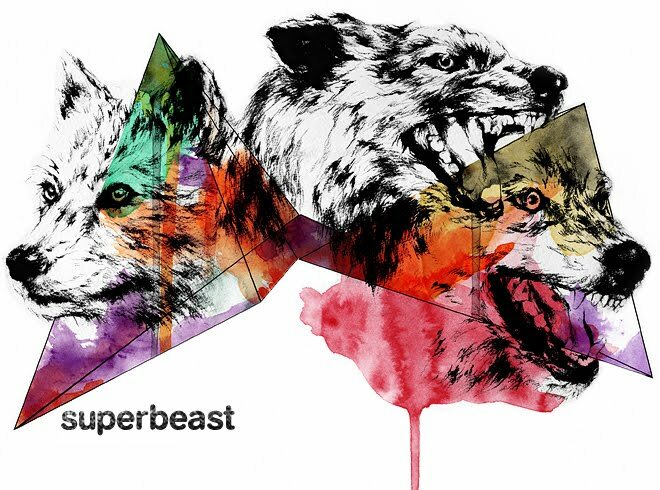 Superbeast Creative: Banh Mi Please. The New York Times features a nice article about the greatest sandwich in the world, the Vietnamese Banh Mi. Luckily here in Minneapolis we have plenty of places that serve up amazing Banh Mi sandwiches. Places like the Jasmine Deli, and Quangs. If you haven’t tried a classic banh mi, imagine all the cool, salty, crunchy, moist and hot contrasts of a really great bacon, lettuce and tomato sandwich. Then add a funky undertone of pork liver and fermented anchovy, a gust of fresh coriander and screaming top notes of spice, sweetness and tang. Introduced to Vietnam by the French in the early 20th century, the first banh mi (pronounced BUN-mee) were just bread, butter and ham or pâté — the traditional, minimal Parisian sandwich. “Then, the Saigonese made things interesting,” said Andrea Nguyen, a writer and food historian, referring to the riot of garnishes that lifts the sandwich from good to genius. 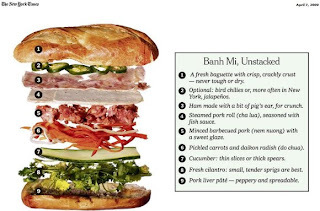 The banh mi popular in America are in the style of Saigon — now Ho Chi Minh City, though most Vietnamese-American families, driven from the country in the 1960s and ’70s, during the war, stick to the old name. Stacked with variations on cured and cooked pork, green herbs, sweet pickled vegetables, sliced chili peppers and at least a swipe of mayonnaise, banh mi are enfolded in a crisp, slim baguette. They are so rich in history, complex in flavor and full of contradictions that they make other sandwiches look dumb. I'm going to get one right now. I like the more American-ized varieties --- with the barbequed grilled pork or chicken or beef --- in Hawaii there are way more varieties then there are here in the mainland. I love 'em! You can the real deal at some of the places in St. Paul. I tend to like any type of Banh Mi. Jasmine Deli still cooks up one of the best I have ever had. In Beijing, we can grab Banh Mi on the streets after a nice night of drinking. Goes well with a street beer which actually continues the night of drinking. You are forever indebted to me for introducing you to Jasmine Deli. Instead of going to church or eating ham, my gal and I hit up Jasmine Deli on Easter Sunday and stuffed ourselves for a mere $11. We're also big fans of Jasmine's nighttime spot Jasmine 26, next to Bad Waitress. Go for the lemongrass ribs. I don't care for Jasmine 26. It's really expensive, and from my experience, not very good. Burk, if you want to see my master list of awesome Vietnamese, hit me up.